Beautiful translucent yellow brown colored natural Fluorite crystal from Purtee Quarry, Ohio, USA. 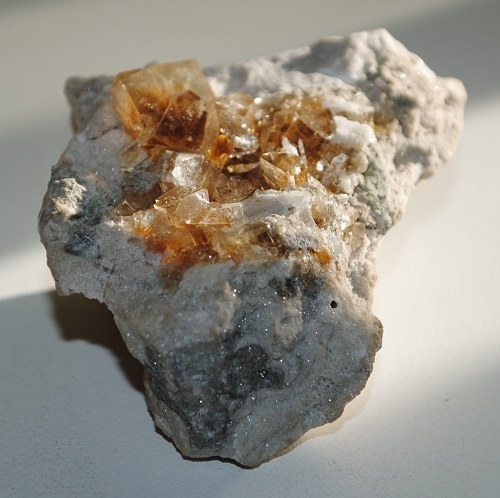 This near colorless to light brownish yellow natural Fluorite cluster is on a limestone matrix. 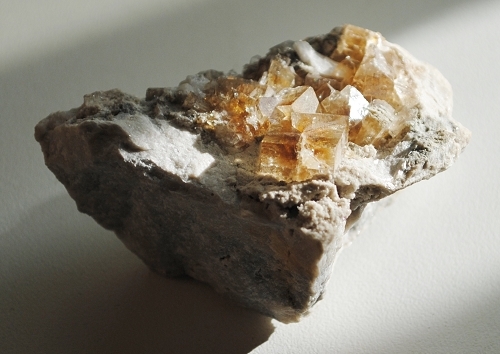 Some of the Fluorite crystals show yellow-white bright phantom cores. This Fluorite crystal is a notable specimen for fluorescence. Fluorite is said to be a highly protective stone, especially on the psychic level. Fluorite helps you discern when outside influences are at work within yourself and shuts off psychic manipulation and undue mental influence. Fluorite cleanses and stabilizes the aura. Fluorite draws off negative energies and stress of all kinds. Fluorite cleanses, purifies, dispels and reorganizes anything within the body that is not in perfect order. Yellow Fluorite enhances creativity. 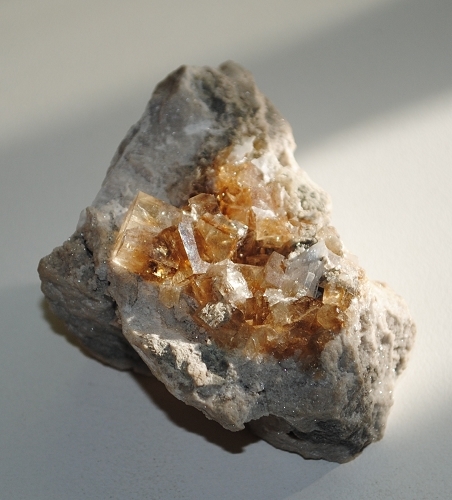 Yellow Fluorite stabilizes group energy and is particularly helpful for cooperative endeavors. It supports intellectual activities. 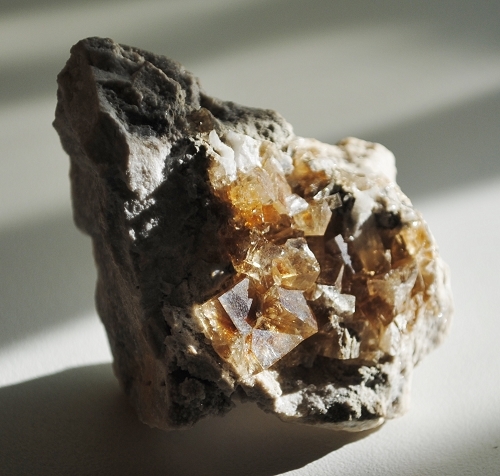 In healing, Yellow Fluorite may help to release toxins, treat cholesterol and aid in liver function.